On August 15, the ro-ro passenger ferry KMP Bandeng sank in the Molucca Sea near Maju, Indonesia. 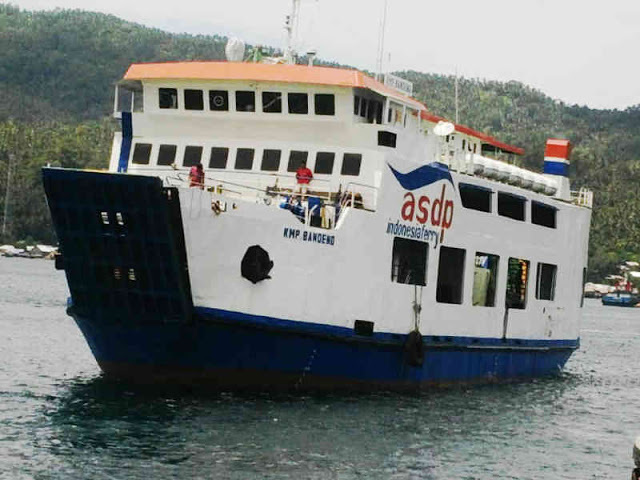 The ferry had departed on the evening of August 14th from Tobelo bound for Bitung on North Sulawesi with 24 passengers and 18 crew along with 12 vehicles on board. Several hours into the voyage the ferry contacted authorities. The captain was concerned as the ferry was proceeding in deteriorating weather and decided to turn back to Tobelo. Authorities lost contact with the ferry a short time later. Unknown to them, the KMP Bandeng had lost power. The ferry’s main engine had failed and now the vessel was adrift in bad weather. With swells reaching two to three meters, the KMP Bangdeng suffered water ingress while no power for the vessel’s pumps. A passenger’s phone was able to contact authorities and alerted them that the vessel was in danger of foundering. The order to abandon ship was given and 18 passengers and crew went into the vessel’s 3 life rafts. Another 17 persons on board would be rescued by local fishermen who came to the aid of the KMP Bandeng. Five people including the captain of the KMP Bandeng were reported as missing. Authorities dispatched search and rescue vessel to the scene and brought all survivors back to North Maluku Island. Many were taken to hospital for treated for minor injuries or dehydration.